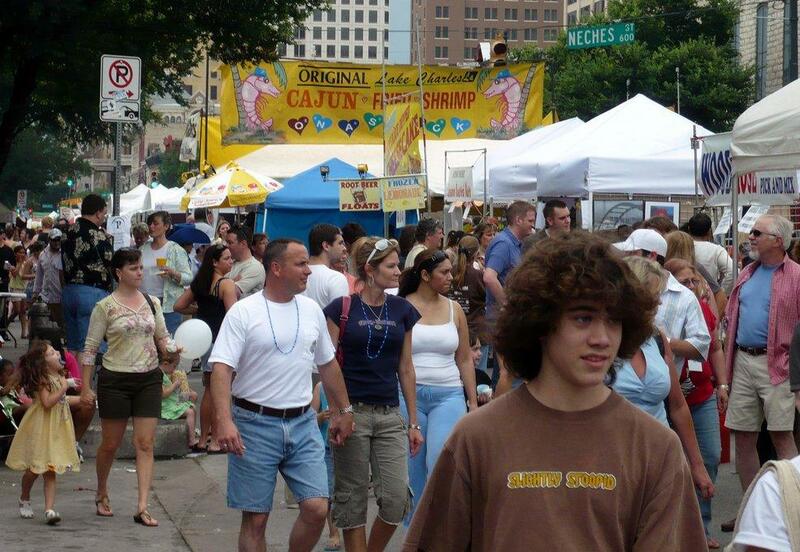 The Pecan Street Festival in 2007. Later in the afternoon, the arts and crafts Pecan Street Festival will start at 11 a.m. in downtown Austin on Sixth Street. The festival, which is free to attend, will close Sixth Street from I-35 to Brazos Street all day Saturday and Sunday. And finally on Sunday, Austin's Cinco de Mayo celebration will take place on W. Second Street. A small portion of the street will be closed from Guadalupe Street to San Antonio Street from 7 a.m. to 11 p.m.